Johannes Brahms was one of the first composers to appreciate fully the viola’s potential, allowing the instrument a chance to shine in his chamber music. Although Brahms’ Two Sonatas in f-minor and E-flat major, Op.120, were originally written for clarinet and piano, they are also greatly loved in the viola repertoire. 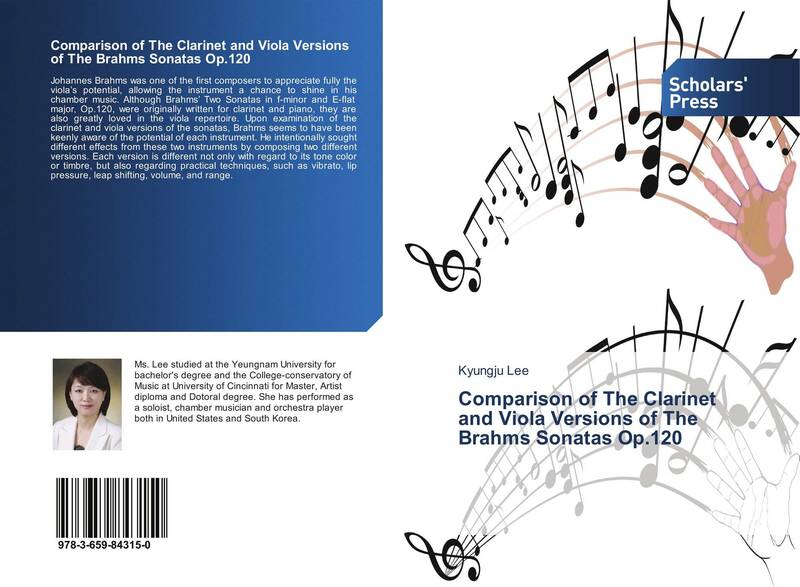 Upon examination of the clarinet and viola versions of the sonatas, Brahms seems to have been keenly aware of the potential of each instrument. He intentionally sought different effects from these two instruments by composing two different versions. Each version is different not only with regard to its tone color or timbre, but also regarding practical techniques, such as vibrato, lip pressure, leap shifting, volume, and range.